Know that feeling of clanking gears whilst you trudge up the French Alps on your hired bike? 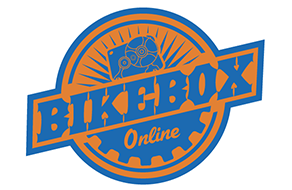 Here at Bikebox Online, we rent and sell bike boxes so you can travel to your favourite places and take your favourite bike with you with no fuss and quite often cheaper than hiring when you get there. Our team are all passionate cyclists and triathletes and we are based in 24 hubs across England, Wales, Scotland, Ireland and the Republic of Ireland including one on the Isle of Man. You can collect and return your boxes at any time to suit you or if you’re busy then we will happily get the box couriered out to your home or work address. We only rent out top quality, hard cased bike boxes including our own design, the mighty Velovault. Just give us a call for more information or click here to find your nearest hub. Easy to pack, strong, safe and spacious enough to fit 29’er mountain bike and TT bikes (although not both together ☺ ), our Velovault bike box has been specially designed by pro-Xterra Triathlete, Sam Gardner. Sam’s experience of travelling internationally with his bike, sometimes having to get from race to race in 24 hours means that he needed a box that he could use for all his bikes, that he could pack quickly and move it round the airport like a dream. This, combined with our collective experience renting bike boxes to all major customers (Sam runs the Windsor hub too) meant that we designed a superior box that would be better, safer and easier to use than all the other boxes. Like us, the Velovault does not accept compromise and as a result it uses custom-designed integrated struts for additional strength and the same UK made catches that are used for Formula 1 cars. We hope they will help you to go just as fast! If you would like to rent or buy a Velovault then click here or feel free to give us a call on 07786 173771. Racing a European Ironman/Challenge Event or Sportive this year? Our bike shuttle service collects your bikes and transports them over to your race destination. Meaning that you can spend your time concentrating on your race preparation (breathe). Please see the bike shuttle page for a full list of events and to book.